Prosciutto di Praga uses pigs raised in the Czech Republic that are cured in Italy for fourteen months. The end result is a less sweet prosciutto compared to the Parma prosciuttos with no preservatives. 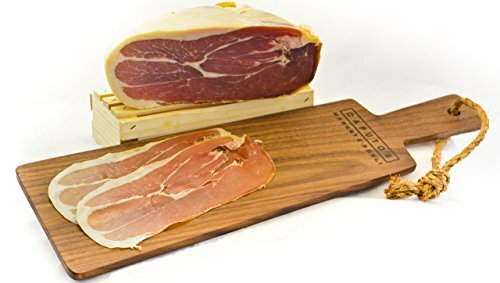 This is an ideal prosciutto when perfect slices are needed due to its drier texture. This product arrives thinly sliced unless otherwise requested. View More In Deli-Sliced Meats. If you have any questions about this product by Fontana, contact us by completing and submitting the form below. If you are looking for a specif part number, please include it with your message. Bresaola Air Dried Beef, Sliced - 0.22-0.3 lb.